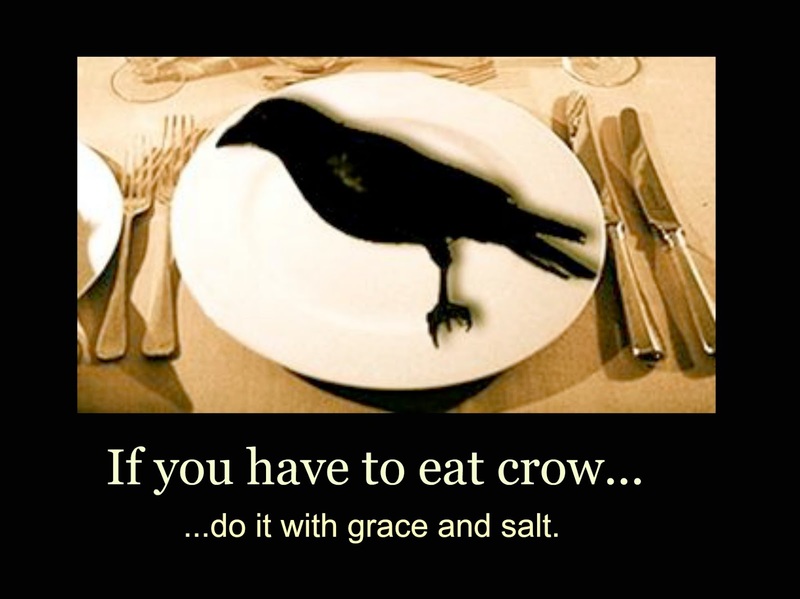 This week, I'm eating crow and singing praises. 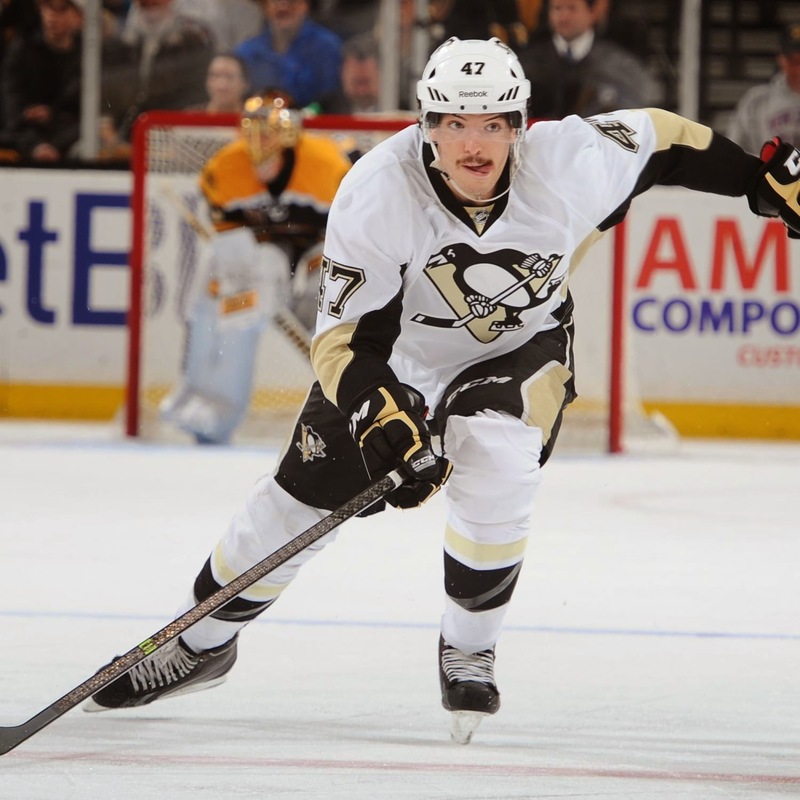 - Last season, I wrote a post critical of Simon Despres. I’d appreciate the luxury of revisiting that. I now view him as a perfect example of nature vs nurture. "He may have actually been his own worst enemy. He showed up at camp this season slow and out of shape. His defensive game was disappointing and he was sent to Wilkes-Barre to get his stuff together. When he did the skate of shame down to the AHL, he left the door open for Olli Maatta who made it hard for the Pens not to keep him. Now that Deryk Engelland has made himself more valuable by also playing forward, Despres is, at best the 8th defenseman....maybe 9th behind Bortuzzo. Despres has, to date, played 18 games with an average of 17:20 TOI. He was a healthy scratch in the past two games. He has no goals, 4 assists and is a -3 on the season. His future is bright but the spring is long and the Pens need a scoring forward." Under Dan Bylsma, it seemed Despres career had played out. There had been so much hype about his skills and potential but it seemed he just couldn't get anything going. Fast forward to this season and you find a confident, effective D-man who is making smart choices and leading the team in hits. It seems he had it within his nature to be a good defenseman, it just needed to be nurtured. Coach Johnston gets the credit for that, in my opinion. His pairing of Despres with Scuderi seems to have accomplished that for both of them. Both journeyman and apprentice have amped up their game. They complement each other very well. Evidence of Despres' improved mindset was found in his assist on Malkin’s goal in Montreal. He smartly positioned himself along the boards, obtained and handled the puck and got it to Geno for the score. A tremendous play actually. Now that Despres has emerged as such an impactful blue-liner, I’m happy to eat crow over my premature dismissal of him….pass the salt! 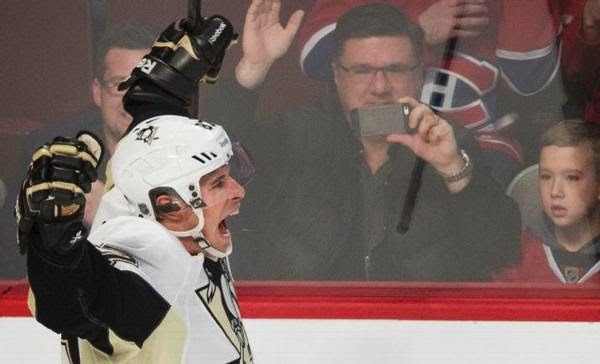 - Saturday night I realized how heavy not scoring was weighing on Sidney Crosby. Pens fans were frustrated, opponent’s fans were delighted but Crosby clearly felt the weight of not scoring. You could just feel him carry that weight but after Price made that spectacular glove save to rob him of a goal in the second period, Crosby seemed to play with renewed urgency and determination. He scored a beauty of an overtime goal. But his reaction to scoring….you could almost feel the release with him. You could certainly see it in his reaction. Don't lose sight of the fact that it was a power play goal as well; dividends to be paid across the board. He may have been off his scoring prowess of late but still sits only six points behind Voracek for points lead in NHL. He is, after all, Sidney Crosby. - Evgeni Malkin is in beast mode and I love it. We're half way through the season and I would gladly wear a “Geno for Hart” t-shirt. He is puck handling like a man possessed. His confidence is evident in the power of his shot and the speed he brings. He seems to be seeing the ice and making plays like he did in the 2011-12 season. I used to think Malkin thrived on line stability. I assumed he needed an ice-buddy like James Neal in order to excel. His line has been anything but stable this year. Not only is he playing well but he’s elevating the game of those who play with him. - I’m sure it’s a challenge for whomever creates All-Star Game jerseys to come up with something unique and appealing every time there is an ASG. That having been said (sarcastically and with tongue firmly in cheek) who approved this year’s offering? I looked at them for a while trying to think what they reminded me of….Then, I saw this on Twitter. Yep, they look like giant cans of Monster Energy.